Congratulations! According to random.org, the 2 lucky winners of the Koo de Ker giveaway are "SandyPants" and "Britt". Ladies, would you please email me your contact info (mailing address) asap. Thank you! We are on the cusp of Summer, you can just feel it in the air. 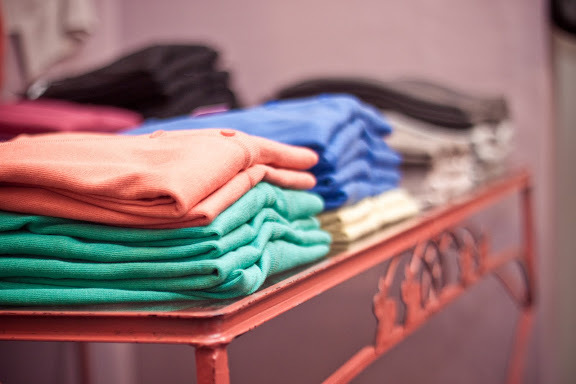 So let's celebrate with a GIVEAWAY sponsored by Koo de Ker--a stylish and affordable boutique in Salt Lake City. If you are heading there for vacation, business, to visit friends or family, or you happen to be lucky enough to live there, then you must enter this fantastic giveaway. Kyong, the always fashionable boutique owner, would like to offer two readers a $50 gift certificate to Koo de Ker. There you go, the odds of winning just went up! Take a peek at these pretty images, the giveaway guidelines below and then enter this fun, almost-Summertime giveaway. - You have 5 days to enter this giveaway (closes Monday, May 30th--Memorial Day--at midnight). - The winner will be chosen via random.org and announced sometime on Tuesday, May 31st at the top of this post. That store looks fabulous!! I would love to win this and I love your blog. Thanks for the giveaway. So pretty. Thanks for the giveaway! We have a baby coming in July, so it would be fun to treat myself to a post baby shopping trip! Ooh, lovely! I hope I can enter as I'm in Canada..so if not, please ignore my entry :) Otherwise, I would love to win! I love the floral blouses! It would be so great to win. I always love an excuse to go to SLC. Such pretty things! Summer is the best season of the year, so happy it's almost here! Would love something fun for summer! How I long for a Koo de Ker in my hood! we live just around the corner from this shop! I can certainly find something special in there! Thanks! I LOVE Koo de Kir! Very awesome shop! I love Koo de Ker, so many beautiful things!! I love Koo de Ker and would love to win! Thanks for doing the giveaway. Yes, please! I would love to win! You have such a beautiful, well edited blog... right down to your give away. Thank you. Hope I win... Love your blog. I love that necklace! Thanks for the wonderful giveaway! Haven't been there yet but would LOVE to check it out! Thanks for the giveaway! Those necklaces are right up my alley. I love this store and could use some new summer clothes! how pretty are those necklaces! Oh ya! I need some new trendy clothes for the summer. And I LOVE the jewelry. I love the coral necklace, even if Summer never really comes to visit. Such beautiful items! Thank you for the chance to win. I've always wanted to go there, and that would give me the perfect excuse! Headed to UT next month and ready planning a visit to Koo De Ker so this would be great. Thanks! my wardrobe could use a nice update! I would love to shop at Koo De Ker! I still haven't stepped foot into Koo de Ker but I've already fallen in love with everything in the store! I would love to spruce up my summer wardrobe, count me in! Perfect and just in time to find something to wear for wedding season! I'm about to have my second son so it would be great to win so I could have some cute new goodies to wear instead of the old maternity garb I've been sporting! I am a poor poor poor college student. help me look awesome. please! I heart Koo De Ker! I would be the happiest girl to win some Koo De Ker ca$h! btw, love the stephmodo blog as well! I LOVE this store. What a wonderful give away! Best boutique and best boutique owner in town!! Love me some Koo De Ker! I discovered her through your blog, and it's all lovely! I would love love love to win. As much as I love love love the store! I always make Koo de Ker a stopping place when visiting from Atlanta! Love that store!! Such gorgeous things in Koo de Ker. thanks for the giveaway. Hope that Baby Gray's surgery went well! Yet another fabulous giveaway! I would totally appreciate a gc to Koo de Ker!! Looks lovely! I'd love to win! Thanks for the giveaway! I love that coral colored necklace, gorgeous. Ooohh, lots of eye candy! Going to Utah next month--this would be perfect! Love this gem-of-a-shop. Can't wait to get my hands on that coral necklace. Oooh, super fun and girly! Thank you! Beautiful! I need some things like those in my wardrobe! I head to SLC every summer and would love to have a little spending money! Absolute favorite store. hands down. Oh how happy I'd be! Pick Me! Love Love Love this store!! so pretty! and hooray for summer. Such a super fun and fabulous giveaway! So many delightful and lovely items to choose from! Wonderful selection, I'd love to win a gift certificate to this gorgeous store! I love koo de ker! Great store! I could sure use something pretty! Kyong was my best friend in elementary school-I'm sure she'd be thrilled if I won! Ohhh, I LOVE Koo do Ker! Would love one of their treasures!! i love koo de ker and would love to win, i'm 9 days away from having my first baby and being that i feel like a big slob every day.... i'm dying to shop in the normal clothes sections. pick me! Oh Me, Oh My! This is D-lightful! I L-O-V-E summertime! Great giveaway. I think those necklaces would look beautiful around my neck. I'm always looking for an excuse to head to the SLC. my favorite store in SLC! love! I wish I lived close so I could walk and browse inside the store. Lovely...I will definitely need to check them out during my weekly trip to SLC. Thanks for sharing! Ooooh, pretty stuff! 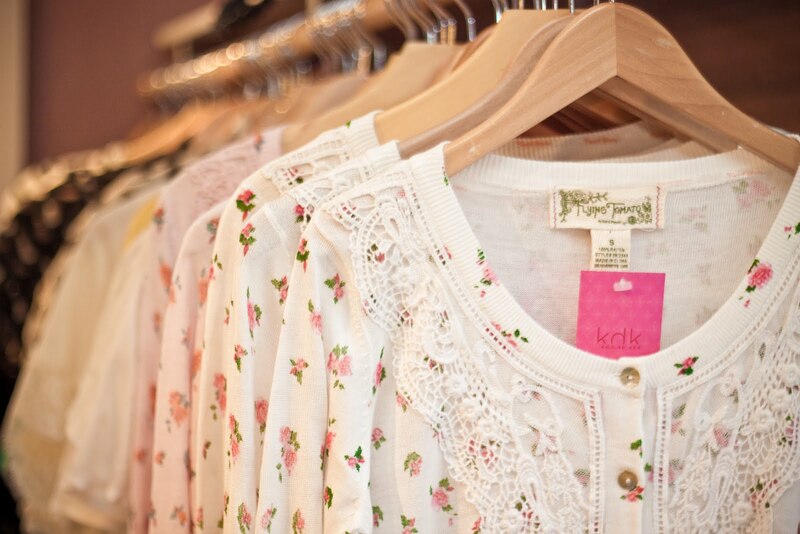 I love the look of those floral tops with the lace - so feminine and summery. Love the accesories! Would love to add one of those to my collection! Thanks for having a giveaway! I love everything :). Thanks for posting the giveaway! I love everything :)! i love koo de ker! 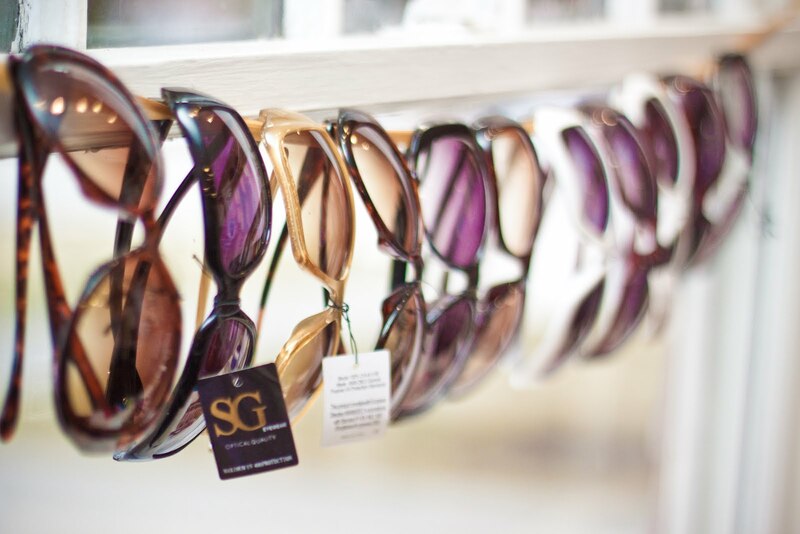 Love summer, love the boutique! Pick me, pick me! Yeah! I could use some fun new summer things! I've always wanted to shop here! I used to live in SLC and I still have great memories and great clothes from Koo De Ker. Hooray, I live close enough to go! Don't know why I've never been before! Happy Friday! and Happy giveaway. Heading to Utah this summer for a wedding, I'd love to win! This year it seems like summer will never come to the Pacific NW! The sunglasses make me smile. I would love, love, love to win this one! hello lovely koo de ker! love it! michelle and i like to go and browse through their pretty stuff. Fun fun! Count me in! I'm about an 1 1/2 north from Salt Lake and would LOVe a good excuse to go into the city and shop...ohhh and eat some yummy food! Koo de Ker! Koo de Ker! Koo de Ker! oooh, I'd love a coup de coeur prize! I've never been into KDK, but this post is making me want to pop in. So cute! I need some new things to perk up my old wardrobe so this would be awesome! What beautiful items. I love them all! I'm a such a fan of this little shop. Thanks for sharing/spreading the love. i've been meaning to check out koo de ker for awhile now. it looks darling! 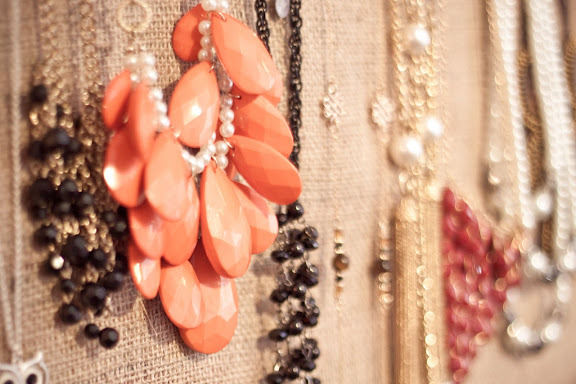 Love this chic store and would love a gift card there even more! Keyong does such an amazing job with her shop! Would love to win! I love visiting this shop when I'm in Utah! I love Koo de Ker - I always make a stop when I visit Salt Lake! gotta love clothes mine always seem to go out of style way to fast. faster than i can keep up. This would help me to be more in style. Hope i win! This would be so delightful! I would love to the winner!